Every year, we celebrate and eagerly await Christ's birth. We light candles and read scriptures and sing traditional Christmas hymns. We take time to pause and reflect on the goodness of our Lord and God's perfect plan to save the world through a tiny baby. And this year, as I feel our own baby kick inside of me, I look at advent in a whole new way. Pregnancy is ten months of waiting and anticipation. It is a time of being stretched, growing weary, and partnering with the Lord to grow a precious life. It is a time of waiting for lines to show up on a stick, for sickness to pass, and for results of ultrasounds or other tests. And it's a time of waiting for the weeks to tick by, waiting with discomfort and without certainty- but knowing that ultimately there is purpose in this. With much joy and excitement, we await our little one joining us here on this Earth, dreaming of all they will do to change the world, just as so many waited so long ago for an even more precious baby. 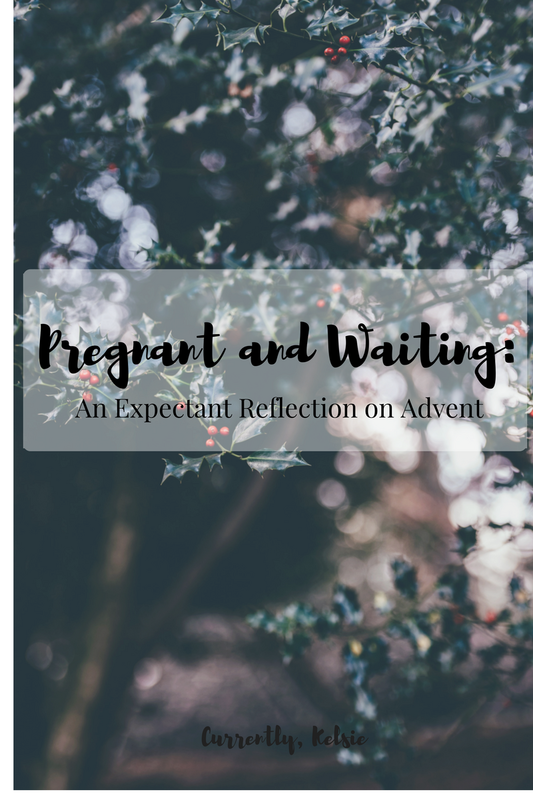 Just like pregnancy, advent is a time of waiting, a time of anticipation for the coming king- the Savior of the world who was born into a most unexpected setting. Although our version of advent usually includes, at most, four or five weeks of reflection, it wasn't so for those so long ago. 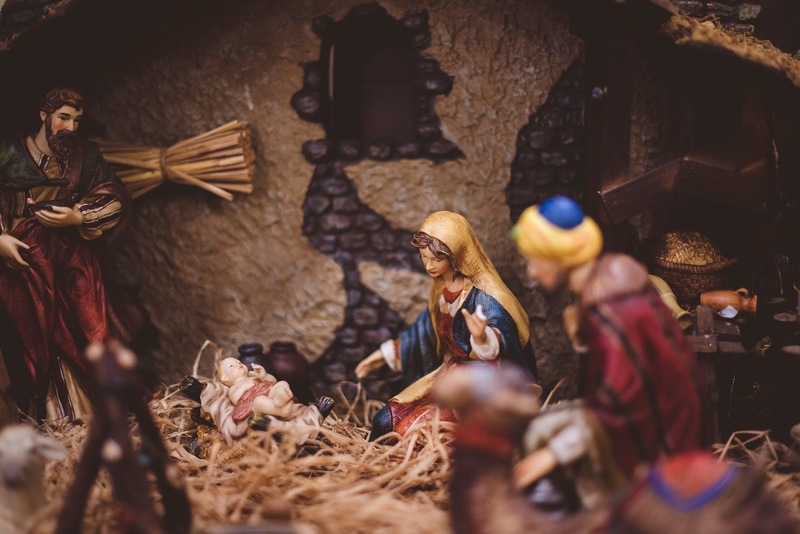 They'd been waiting for years for the coming of Emmanuel, God with Us: the fulfillment of years of prophecy and the completion of the perfect plan set in motion since the beginning of time. I can only imagine the true joy they felt at the Savior's birth in that manger so long ago. While I'm only waiting ten months, they'd been waiting their entire lives, or lived and died without seeing the Lord's coming. Waiting is difficult and challenging, but it's oh worth it in the end. I'm learning to be prepared, and to offer up areas where I can't be. Bringing a new life into the world is truly a spiritual journey. Every day I am more aware of the fact that I'm not in control, and it is incredible watching this little miracle grow inside of me. As the days go by, I read books and blog posts and try to prepare myself as much as I can for all that awaits: labor, life with a newborn, and raising a child. But no matter how much I prepare, there are certain things I just can't be ready for. I don't know what my labor or birth experience will be like. I don't know what my baby will look like or how they'll sleep or really much at all. So I'm offering up those areas where I simply can't be prepared, knowing that the Lord will provide and that He has a plan in it all. This advent season, I'm also trying to take time to prepare for the coming of our newborn king: Jesus. I'm trying to slow down in the sweet moments and offer Him thanks. I'm trying to direct my moments of fear to moments of prayer, to silent reflection for all of the blessings I've been given and could never deserve. And most of all, I'm anxiously awaiting His return. I'm striving to live life for Him and with no regrets, with my mind and heart set on things eternal. I'm learning to be expectant. 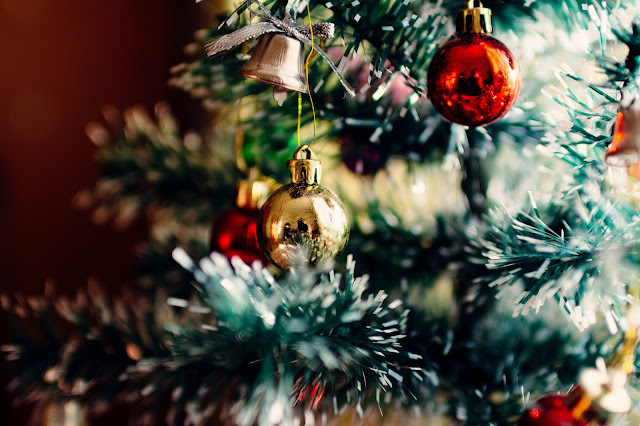 During the Christmas season, we wait with eager expectation for the birth of Jesus and the celebration that comes along with it. This season is all the more sweet as my expectant-mother heart truly longs and yearns with excitement for the moment that I'll meet my child. I can't wait to hold our little one, to find out their gender and give them their name. I am expecting great things in the moments of motherhood that are to come, and although I'm also expecting new challenges and demands, I know they will be so worth it. Outside of my pregnancy, I'm still expectant. I'm expecting big things from the Lord this year and in the years to come. I'm expecting Him to move in my heart and in the hearts of others as He draws us closer to Him. I'm expecting Him to move in my school, in our church, in our ministry, and in this world. I know that even when things look bleak, He is sovereign- He has already won and his plan cannot be thwarted. And some day, I'm expectant of His return. I love the words of the old hymn: "Come, though long expected Jesus, born to set thy people free. From our fears and sins release us. Let us find our rest in thee." This is my prayer this year: to be released from my fears and my sins and to truly find my rest and purpose in Him. I'm learning to slow down and trust with joyful anticipation. 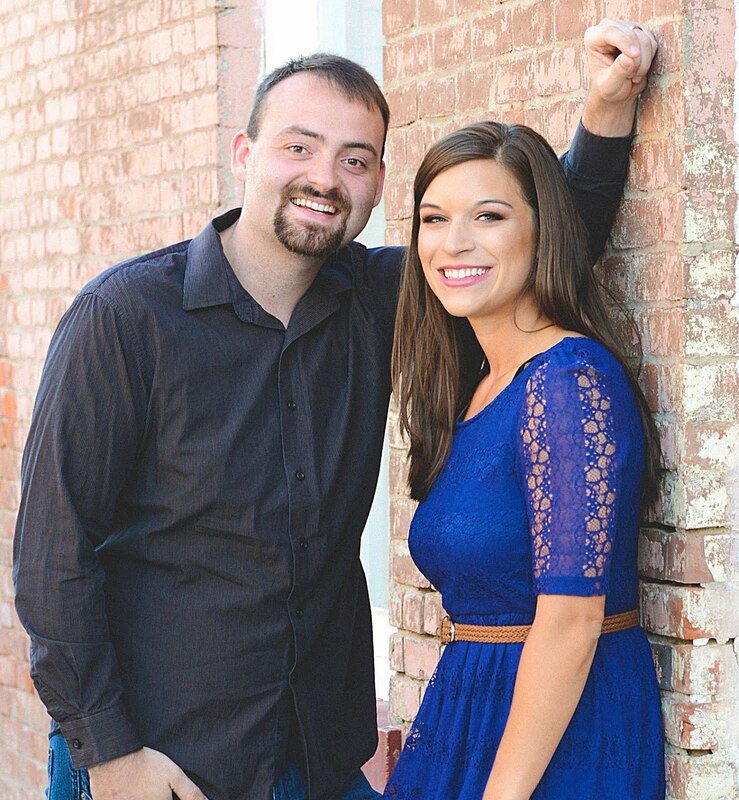 Throughout pregnancy, it can be so easy to want to jump ahead to when Baby is here. It's easy to want to skip the labor and the stretch marks and the discomfort. But I'm trying my best to slow down and enjoy this precious time. I'm taking weekly pictures and marveling in the flutters of our little nugget within me. And I'm learning that the only thing I can do is trust. Trust that God will get me through this. Trust that our baby will be exactly as the Lord has planned: knitted together in my womb with purpose. And trust that offering up my worries and fears to the Lord will allow me to move forward with joyful anticipation for all stages of motherhood. If Mary can trust God through her virgin teen birth in a stable with no medical help (and after riding a donkey while fully pregnant), then surely I can trust Him to keep me safe and lead me through bringing this child into a world. We can be the same ways in our spiritual lives. We want deliverance from our challenges, without the road to get there. We want spiritual maturity without the prayers and discipline required each day. We want the end result right away without struggling to get there. But we have to choose instead to slow down and to trust that the Lord is good- that He will deliver and provide for us when the time is right. And we can expect this and look forward to eternity together with joyful anticipation. Although you may not be an expectant mother, you too may have moments where you feel weary, longing for relief from being stretched and challenged. In these moments, I pray that you would pause, trust, and wait for the Lord with an expectant and prepared heart- ready for all that He has in store. I pray that you would have the strength to persevere and to endure the struggle that will be worth it in the end. And I pray that you would know His blessings this holiday season and beyond. Merry Christmas, friends! So beautifully written! Thanks for sharing your heart! Thank you, Casey! Thanks for reading! This is absolutely BEAUTIFUL, friend! <3 What a sweet season we are in! Thank you, Abbey! It is sweet indeed! Your words are beautiful, Kelsie! To me, one of the hardest parts of pregnancy is not wishing it away in anticipation of the baby. I love to see other expectant moms be intentional about savoring those months, too. Thank you, Abby! I agree!